And that's it in terms of Mossley and football and everything else for 2010; a year that has been slightly more eventful than most at Seel Park: no floodlights for half of it, home games played in a neighbouring town, some great football interspersed with some truly woeful stuff, the return of the managerial merry go round... there was never a dull moment. Oh! Wait, there was. So what does the New Year hold besides 29 games crammed into its opening 16 weeks? Well, probably more of the same really; the odd great game here and there, a fair amount of moaning and as we haven't had one for nine or so months, a situation occurring where the club stands teetering on the edge of a financial precipice. Actually that list could equally apply to almost every club plying their trade on this green and pleasant land, especially the last bit about money worries. A number of clubs have ceased to be this year and with no sign of this new age of austerity ending for the foreseeable future, it's almost a certainty that they'll be joined by more over the coming months and years. To those people supporting and running clubs who'll be facing such a situation in the coming weeks and months ahead: good luck. As for things closer to home, that is to say this very blog you're reading now, there will be changes over the next calendar year. Not just design-wise but content-wise too. It won't have failed to escape your notice that this site is starting to contain fewer actual reports on Mossley's games and I don't think that's going to change any time soon. Why? Well that's a question that deserves a more detailed answer than I have time for now. What I can say though is that the blog's scope may expand a little. To include just what though is something I'm keeping close to my chest for the time being in case it doesn't happen. After all there's no point setting yourself up for fall. Or fail to use modern internet parlance. Happy New Year and on to 2011 and whatever it may hold. In what can be described as a bit of a turn-up for the books, Mossley's annual home league defeat to Curzon Ashton ended in something other than a loss for the Lilywhites. It might not have been a win but a draw is an improvement on the multi-goal hammerings we've received off our near neighbours at Seel Park in recent seasons. It's a result too that stretches our unbeaten run to over 5 weeks. Okay, it may be 5 weeks that only encompasses a grand total of 3 games due to the weather but good news is good news no matter how slightly less impressive it sounds when you look at it in finer detail. From the things I've been told about the game it should have been a victory for the Lilywhites. However our inability to put the ball in the net when we were on top reared its head once more and the one goal we did score (another impressive edge of the box effort from Kristian Dennis apparently) was cancelled out later on when the visitors decided turn up in spirit as well as just body. The first nine words of the previous paragraph should be a clue that you're not going to find an eyewitness account of this post-Christmas derby on here. 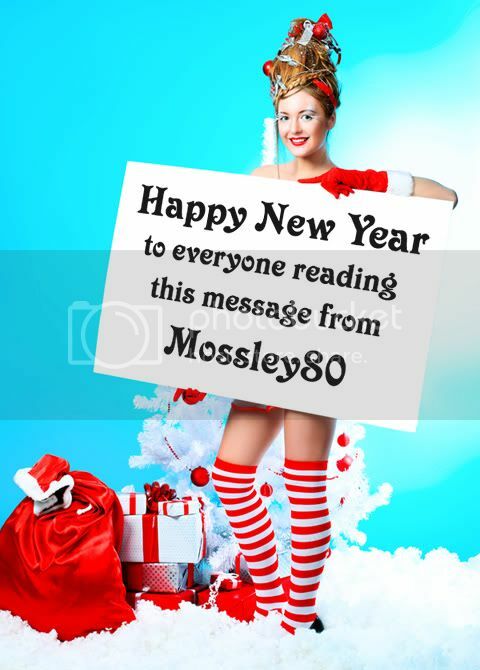 If you want some internet musings from those of a Mossley persuasion who attended then you should visit here and here. If you require a neutral eye's view on proceedings then you could do a lot worse than heading to Beat The First Man where NikNoCee has documented the game in one of his increasingly more frequent trips over the Pennines in search of football. While you're there you should take a bit of time to read the rest of the site because there's a reason why it has been chosen by The Guardian as one of the 100 general football blogs to follow in 2011. Next up for the Lilywhites is a New Years Day trip to Woodley. Is there any better way to celebrate a new calendar year than spend it in a dank corner of Stockport in dank weather? At it happens the answer is yes which is I won't be there but I'm sure there'll be a proper Mossley report on here soon. In retrospect it was probably a mistake to suffix yesterday but yesterday but one's blog entry with 'part one' as doing so has meant having to come up with a 'part two' so I don't look silly. Okay, sillier than usual. In keeping with the minimum effort theme of the previous post I'm going to once again release into the wider public arena another video which has only ever had the eyes of a few people clapped on it. And once you watch it I've no doubt you'll be wishing that it had remained under lock and key in a dark, distant corner of the internet because - and I'm going to be brutally honest here - it's not really very good. Actually 'not really very good' is far too higher praise for it. I'll readily admit that it's not the best one I've ever done, even by my shockingly low standards, but in my defence it captures the match perfectly. And the match in question is another fixture from the 2008/09 season but this time it's not league but cup football, or to be more precise the height of excitement that is the President's Cup, the Northern Premier Leagues answer to the question: can you come up a meaningless and universally unloved competition that blights the footballing landscape like a... sorry, I was getting away there. Anyhoo the 'action' (purely for want of a better term) is from Mossley's 3rd round tie at Chorley (more here) and it starts with the home side already one-up. If there's to be a 'part three' (I've now learnt not to promise such things) I'll endeavour to come up with something that's a bit more interesting. Not much more but a bit. The lack of games to report on because of the weather’s current match postponing, Arctic like qualities has thrown up an interesting puzzle: How do you update a blog with something that may prove vaguely interesting to someone, somewhere whilst exerting the minimum amount of effort in its production? After pondering this conundrum for the better part of one blink of an eye I hit upon a solution: post something I did ages ago that not very many people have seen. And that is why the next-but-one paragraph is followed by the video of a random league game (this one in fact) from two seasons ago which had previously been hidden to all but a few people… until now! So if you're sitting there with nothing better to do for the next four or five minutes - and the fact you're reading this blog kind of suggests you haven't - then why not spend them watching Mossley pick up what was a well deserved win at the Irongate back in 2008? I almost forgot that last week, amidst the glut of postponements there has been recently due to the chilly and white flakey weather, Mossley actually managed to play a competitive game football. As you might expect by now when it comes to away matches: I wasn’t there, so if you want to know more about the Lilywhites first ever win in Rock Ferry then click on this link. Instead of enjoying the veritable charms of Birkenhead by night I was 41 miles away on the terraces at Seel Park, bumping the crowd watching Mossley reserves take on their equivalents from Bamber Bridge into the high single figures. Of course I could furnish you with a report on this game but given that the only player I recognised was Lee Blackshaw it’s likely that you’d get mildly irritated by a string of sentences describing ‘thingy’ passing to ‘what’s he called’ before ‘you know, him up front, no, not the tall one’ sends a shot bobbling wide of its target. I shall therefore just say that while it can be argued that Brig’s 5-1 victory was a little flattering, there’s another argument to be had that the margin of defeat could have been a whole lot worse had it not been for a missed penalty and other miscues from the visitors. It would be errant of me though not to point out that the Lilywhites second string did play some very, very nice football at times - the passing, movement and awareness at times was exemplary. The problem was, much as it has been for the first team as well for a significant part of this season, all of these well-constructed moves fizzling out into nothing. There were shots at goal but all were straight at the keeper; even Blackshaw’s goal, as well taken as it was, made its way into the net under the body of the Bridge goalie. The positive though - if there is such a thing to be taken from a hammering at home - is that it was such a young side Mossley had out that the game will probably be a valuable addition to their learning curve. Then again, how many times have we seen such things as supporters yet we still keep coming back for more? With the weather having taken another turn for the worse and the forecast for the coming week looking decidedly frosty, the chances of seeing another game of football involving Mossley being played in 2010 is closer to zero than the temperature. So as well as starting to save my pennies in readiness for attending the four game a week marathon we’re almost certainly going to be having in April in order to complete all our fixtures before the end of the season, I'd better come up with something to put on the blog in lieu of the trickle of match reports. Well I have to give the two people who visit here every week something new to read, don't I? After all the build-up the game unfortunately turned out to be something of a damp squib. At least it was if you were a Mossley supporter because I'm sure the travelling fans from Mansfield were reasonably happy with what transpired. The Lilywhites, while not disgracing themselves, didn't put in the kind of disciplined performance they were noted for until it was too late. Not for the first, or indeed the last, time at Seel Park there were a lot of people left to ponder on the thought: "if only..."
The cup exit, as bitterly disappointing as it was, did at least mean that Mossley could concentrate on trying to secure a third successive Northern Premier League title and reaching Wembley again in the FA Trophy. It wasn't to be though. The 13 point lead Runcorn had built up in the league while Mossley were on their FA Cup run proved to be insurmountable (it was a time when it was still only 2 points for a win) and the Lilywhites finished runners-up; a position they would end up in at the close of the following two seasons as well. In the FA Trophy Mossley made it as far as the quarter finals before they came unstuck in North Wales, losing 5-3 to Bangor City. And with that comes the end of this look back at what happened three decades ago when Mossley, a team from a small Northern mill town, were arguably one of the top sides plying their trade outside of the professional leagues. There are a few scrapbook cuttings left but they're from a time that no-one particularly wants to relive: our mid-eighties slide to ignominy and the first of a long series of brushes with oblivion. I hope that this and the preceding six parts brought back some happy memories for those of you who were around to experience this incredible period of the club's history first hand. 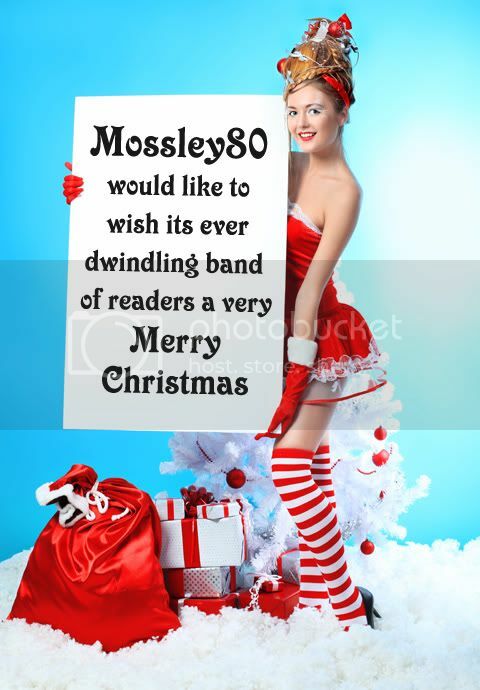 If you're too young to remember or weren't following Mossley at the time then I hope they proved to be of some interest. Most of all though I hope they brought some enjoyment. Even if it was only a little bit. No, your eyes do not deceive you. The score above is correct - we did indeed put six unanswered goals past Trafford. Yes, really! To be honest I don't think I would have believed that score line if I hadn't seen it for my own eyes, especially after the way we've been playing recently, but not only was it a comprehensive win it was a thoroughly deserved one too. Then again I suppose that’s a given as surely there can be no such thing as a lucky six goal victory? In fact the only criticism I have about the result (and it's an itsy-bitsy, teeny-tiny, microscopic one at that) is that Mossley didn't score more. It wasn’t a case of ‘could have’ reached double figures: we ‘should have’ reached double figures for the first time in the club’s history. The reason why being - and there’s no nice, sugar-coated way to put it - Trafford were shockingly awful. Not only did the visitors fail to register anything that can be remotely described as shot in the general direction of Mossley’s goal, I can’t recall them winning a corner or spending more than thirty seconds in the opposing half of the pitch. That’s not to denigrate Mossley’s performance in any way because they played extremely well - magnificently so even - but there’s no question they were helped along the way by the most hapless display I’ve seen from a football team since… well, let’s just say it involved the Lilywhites and leave it there. Like everybody else with a link to Mossley though I'm more than thoroughly happy with six goals the team did score, and what a set of six they were. There were no scrambled efforts or scruffy tap-ins from a matter of inches - everyone was a doozy in its own special way. The goals started to fly in as early as the fourth minute when Callum Byrne fired the ball home from twenty yards and quarter of an hour later Kristian Dennis doubled the lead from a similar distance. Ben Richardson then added a third with a powerful close range volley before Byrne notched his second goal of the evening. A rather natty piece of ball juggling just inside the Trafford half by Mike Fish created the opening and the loanee from Rochdale lifted the ball over keeper Tom Read to finish a well worked move. An even better passage of play took place not long after that would have undoubtedly been goal of the season if Sam Hare could have applied the finish to a move which numbered more than twenty passes and tore Trafford apart. A miskick at the vital moment though denied him both his goal and the chance to pick up a small trophy in the social club in May. With the temperature dropping below freezing point and the ground whitening under a thick layer of frost there was a worry that the match might not see out the full ninety minutes. Happily though the ground failed to harden during the second half and in a touching show of solidarity with Mother Earth, neither did the Trafford defence. Chances came and went for the home side with a frequency bordering on the incredible but it wasn’t until just after the hour point that the Lilywhites troubled the net again. Kristian Dennis equalling Byrne's tally for the evening with an effort that was a near carbon copy of his first goal in the preceding half. With a bit more composure in front of goal Mossley would have added a sixth long before Matty Kay did so eight minutes from time. Last season’s top scorer taking advantage of the acres of space afforded to him to finally open his account for this campaign. It’s a horrible football cliché to use but as bad as Trafford were, you can only beat what’s in front of you and Mossley (another horrible football cliché coming up) did so with some aplomb. Will a victory as convincing and as comprehensive as this one finally kick-start our league campaign? Truthfully I’ve no idea. I thought the four goal win over Ossett a fortnight earlier might have had the same effect but that proved not to be the case so who knows? It certainly won’t do our confidence any harm at all which is no bad thing considering that we’re heading into a run of pre-Christmas games against opponents who share our lowly league position. So get those fingers crossed. Not just for some upcoming wins but that the weather warms up and improves enough to allow the matches to be played. Back in June I said that the look back at events of 30 years ago wouldn’t end with the coverage of the teams return from the FA Trophy final, simply because there was another notable event in Mossley AFC’s history during 1980. On the 22nd of November (three decades ago to this very day in fact) the Lilywhites claimed their first, and so far only, Football League scalp in the FA Cup when they beat Fourth Division Crewe Alexandra 1-0 in the first round of that season’s competition. Unfortunately, unlike the Trophy games, my memories of this famous victory for the club are practically non-existent because I wasn’t able to attend the game. Having spent the best part of the week leading up to the match in Manchester Royal Infirmary having had an operation to try and improve my hearing, I was under strict doctor’s orders not to leave the house for two weeks. And as welcome as a fortnight off school was, it didn’t come close to making up for the bitter disappointment ofnot making it to this game. My professional career had been over for eighteen months when I agreed to help out an old friend and shirt customer, Bob Murphy, who was the manager of non-League club Mossley. A couple of months earlier Bob had said he was short of players: would I turn out in an emergency if required? I said I would, not thinking he would ever be that desperate. Well, Mossley reached the first round of the FA Cup and there was Bob on the phone asking me to play against Crewe Alexandra. He registered me as an official footballer once more – and I had to find some boots again. Michael Crawford was staying with us at the time and he took Tina (Summerbee’s wife) along to watch the game; I told him not to start laughing or anything. I had to do the best I could. I got to the ground at about 12:30pm, far earlier than I ever used to in my career, but I knew I had to warm up gradually. I was out on the pitch, gently preparing for more than an hour, and then came into the changing room. ‘I’m going to make you the substitute, Mike,’ said Murphy as I went in. ‘How does five hundred quid sound?’ I said to shut him up. Actually, I was playing for nothing. For the first time in my life I was an amateur. The Mossley pitch had a slope and we played down hill in the first half. I stayed out on the wing and just clipped a few balls in when I had the chance and jogged back to keep the team shape. At half-time it was 0-0 and I had to keep moving through the break. I could already feel the stiffness creeping into my body. In the second half we were going up the slope and to me it felt like climbing Kilimanjiro. Behind me at full-back was was a young lad who kept overtaking me and I was really struggling, sucking air up my rear end. I could hardly move but I kept going. A minute from time there was a corner on the left hand side. I went over and took it, and the centre forward, who was a big fella, rose up and, boom, the ball was in the back of the net. 1-0. We’d won the game and there were all the wide-eyed celebrations you get when a minnow wins an FA Cup tie against a League side. And I’ll tell you how stiff I was. I dropped the soap in the shower and I couldn’t even bend down to get it. One of the young lads had to pick it up for me. Outside I found Tina and Michael and they were laughing their heads off. That was it. Finished. Job done. It was the last match I played. The boots went in the skip again. There are a couple of inaccuracies (the time of the goal and the centre forward didn’t score as intimated) but nothing compared to those in Neil Warnock’s book. The reward for this 'giant-killing' was a second round tie against more Football League opposition - Mansfield Town. And it's that game which will make up the seventh and final 30 year trip down memory lane in three weeks time. If you look at basic facts that can be gleaned from this game - Mossley coming from behind three times before losing to a goal deep into injury time - it would appear that we were once again the unfortunate victims of an absence of luck that some fans think is responsible for our lowly league position. The comments of those who attended the game though tell a different story; "If we'd have got ANYTHING out of this game - we wouldn't have deserved" standing out amongst many as for the first time this season the forum played host to more than a few postings questioning tactics, team selections and other points of concern that had previously only been talked about with quiet concern on the terraces. With two home games aginst mid-table sides up next it will be interesting to see how the Lilywhites react to this latest setback. If by 9:45pm on Tuesday evening a run of one win in eight games has been extended to one win in ten outings then it's likely that the concern expressed in the aftermath won't be quite so mild mannered. Alternatively four to six points from the same games could push us up to a respectable spot in the middle of the division. As always with this club it's going to be interesting to see what does transpire as it's never not dull... well, not often. If you're a regular visitor to this blog it can't have failed your notice that updates have been somewhat tardy over the past few weeks. That reports on games are being posted at least a week past a point where all right minded people have given up caring. There is a reason. Well there's a big one and a small one. The small one is that the new Call of Duty game has eaten up a proportion of my free time as I try to get past the point of being utterly rubbish at it on-line (progress update since this paragraph was first written: still utterly rubbish). The big one is that I simply couldn't be bothered. I know I've said numerous times in the past few months that I'm becoming fatigued with football but that feeling just continues to grow and grow. Why it does I may elucidate on at a later time when I'm in the mood for the argument it may possibly cause. In the meantime though I should really get this report done, especially as in a break from the recent norm, it's on about a match that Mossley won. The scoreline suggests it was a comfortable victory and effectively it was with the Lilywhites almost dominating the game from start to finish. But it's that 'almost' bit which, no matter how well the home side played for the majority of the match, could have seen the three points slip from their grasp. Mossley opened the scoring with their first shot on goal in fifth minute - Callum Bryne getting his temporary spell at the club off to quite the start with quite some strike - and 75 minutes and approximately 483 efforts on goal later they added a second when Mike Oates got on the end of a huge upfield punt and turned the ball past the Ossett keeper. The third followed not long after when Lee Blackshaw curled a low free kick into the bottom corner of the net and contrary to what you may have seen elsewhere, the Lilywhites final goal of the night came courtesy of Ossett's very own Ryan White. How Oates has been credited with it is a mystery I'm sure Arthur C. Clarke would have eventually got round to investigating had his TV show not finished 30 years ago and he not died in 2008. The outcome could have been very different though if it wasn't for a brilliant piece of last ditch defending a minute or so prior to Mossley's second goal. Yes, this is the aforementioned 'almost' bit of the game where Ossett briefly got the upper hand and it stemmed from a 75th minutes change of formation from the Lilywhites. Before the reshuffling of the pack Mossley were lined up in 5-3-2 formation with the full backs pushing forward at every available opportunity, effectively making the shape 3-5-2 for significant periods of time. It worked fantastically well too; Ossett barely got within glimpsing distance of the Lilywhites goal let alone close enough to have a shot. After the change though Mossley reverted to the flat back four they've been using for the majority of games this season and just like in the majority of games this season, the defence got wobbly and things didn't look quite so rosy. The ball was lost and given away with embarrassing frequency in an incredibly short space of time, culminating in a moment in which Ossett should have equalised. A cross from the left arrived at the feet of one of two Albion players alone and unmarked in the middle of the Mossley penalty area. The resulting shot beat the dive of Peter Collinge but not the outstretched foot of someone in a white shirt who'd managed to get back and hook the ball off the line. I'd like to name who that player was but because it's only possible to make out shapes and not who's who at medium to long distances under the new floodlights, I can't. So to whoever it was who stopped the visitors drawing level: thank you. Overall though this was a much improved performance from the men in white shirts. However, just as you can't get carried away after one defeat, it would be silly to do so after one good result. If we can put in performances and results like this more consistently (and against better teams than Ossett - let's be honest, they were pretty poor) then it will be time to start thinking that a corner has been turned. The outcome of the next game at Harrogate Railway should give us a clue to whether that may be soon or a while longer yet. A fixture against the league leaders is not something you look forward to when the side you support is hovering just above the foot of the table. Doubly so when indiscipline in a cup match a fortnight earlier means four regular starters are spending the Saturday afternoon elsewhere through suspension. There are those rare times though when everything is stacked against you and all hope looks lost, that adversity brings triumph and the underdog succeeds. The one positive that seems id to have come from the game - that we only lost 3-0 - should give you an indication that this wasn't one of those said times. Of course being one of those namby-pamby fair weather fans I didn't make the journey to Chester; £16 on a train ticket and £9 on an entrance fee (plus whatever it cost to buy something to eat) is not something I'm willing to fork out on when money isn't exactly abundant. I'll be honest too and say that the desire to attend was also tempered by the fact I wasn't expecting a positive result of any kind at the Exacta Stadium. I did think though that we might have had them on the back foot for a few passages of the game but that doesn't appear to have happened. The comments I've heard and read from the supporters who did attend (both Mossley and Chester) doesn't paint the Lilywhites performance in too great a light. If you'd prefer to make your own mind up on how the Lilywhites played rather than rely on the opinions of others, watching the games highlights may help you come towards a conclusion and you can do just that by clicking on this link. So in conclusion, we lost a game and no-one is particularly shocked that we did. A verdict which could be the default one for the coming months if we're not too careful. Following a complete calendar month of nothing but knock-out football, the always amusingly named Dimple Wells Stadium was the venue were Mossley reacquainted themselves with the run-of-the-mill mundanities of life in the Evo-Stik First Division North. And along with the vast majority of my fellow Lilywhites supporting brethren I wasn't there to watch it which of course means that the "better supporter than you" brigade were out in force on the forum. What's laughable is that when we played at Ossett Albion three seasons ago during Gerry Quinn's reign as manager, only six Mossley supporters turned up to that particular match yet there was no thinly veiled digs at other supporters after that on the forum or producing a list of those who went (really, that happened after this game). Anyway, Smiffy has written about this little internet episode better than I have or can so I suggest popping along here to read it. As for the game itself (a report on which is here) it sounds like it was the latest in the long line of what might have beens had but just a couple of an apparent hatful of chances been taken. However, even if it was three points tossed away through our ongoing inability to stick the ball into a 17.86 m2 target with any regularity in league fixtures, after four consecutive defeats a draw isn't so bad. Although I do though reserve the right to change that particular opinion should we fail to stave off relegation to the Vodkat League by a solitary point. Because there are only so many ways you can write about a defeat that could have been avoided if we'd taken a fraction of our chances and defended a lot better, this is going to brief as I exhausted all of this season's variation on that particular theme after the loss to Curzon Ashton in the last match. As you may gather from that opening paragraph it was same-o same-o from the Lilywhites as they exited the FA Trophy in the same manner they left three other cup competitions in the preceding eleven days: in a disappointing fashion wondering what might have been if they hadn't been quite so... well, disappointing. Part of the reason for the employment of the 'd' word is that Nantwich, despite residing in the division immediately above Mossley, didn't look anything special yet still left Seel Park with a win and three goals despite rarely threatening the Lilywhites goal. I can't remember them mounting a single meaningful attack in the opening 39 minutes leading up to their equaliser. It was a leveller that could have been easily avoided but a player losing his marker, a poor clearance and a heavy enough deflection off a defender to warrant the use of the term o.g. proved sufficient enough to wipe away Mossley's advantage; a lead that had been gained 10 minutes earlier when Sam Hare bundled home a cross from the left wing by Aaron Chalmers. In reality Mossley should have had the game sewn up before Michael Lennon put the visitors back on level terms but the on-going problem of failing to stick the ball in the back of the net when presented with a golden opportunity meant that the Dabbers always remained in the tie. This failure to kill off the Cheshire side was brought into sharp focus 7 minutes into the second period when the home defence did its Red Sea impression and parted, allowing Glynn Blackhurst to go ‘Moses’ and break clear of the chasing pack and score. Although Andy Watson cancelled out the lead with a header just after the hour, Nantwich edged ahead again when Rodney Jack finished a great move by smashing the ball past Peter Collinge. It wasn't too dissimilar to a move Mossley had themselves made minutes earlier. The only difference being that whereas Nantwich had found the back of the net, Mossley barely found the arms of the goalkeeper with a weak bobbling shot. The game should have been forced into a replay in the dying stages of injury time but half of current Mossley's problems were put into a nice nutshell when Mike Fish headed high over the cross bar while unmarked in front of a near open goal. And with it went the Lilywhites hopes of winning a trophy this season. I know that silverware through winning the league or the play-offs is still a mathematical possibility. Viewing recent games though through some non-rose coloured visual aids suggests the chances of doing so are so small that if you were to read it as a percentage you’d have to go through 10 decimal places before you hit a number that wasn’t a zero. If the problems currently plaguing the team can be sorted in an expedient manner, a top-half of the table finish isn’t beyond question. If they aren’t… well, the reports on this blog are going to start to look very, very samey indeed. Even more so than usual.